Networx WiFi is an innovative and low cost mobile Internet service powered by Networx Telecommunications. By understanding the needs of the young public and the next generation of globally connected people we were able to develop Networx WiFi that meets the demand for online connectivity – quick, easy, accessible and at affordable cost. More people choose Networx WiFi than conventional mobile internet – because of speed, simplicity and price. Networx Wi Fi is now available in more places every day – in every major city in Northern Bulgaria – at hotels, parks, libraries, clubs, administrative and public buildings, apartments, rural areas. You can get online in all these places easier than ever – exactly the way you do it at your office or home. As a matter of fact the term office is now redefined – with Networx WiFi it can also be your favorite café. 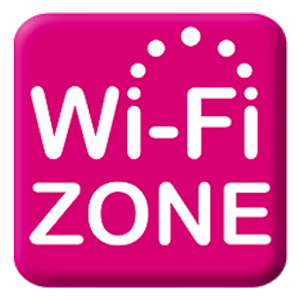 Networx WiFi is a great advantage to have for mobile devices – from laptops to tablets and smartphones. All WiFi enabled devices have now limitless capabilities to connect and interact with the Global network – thanks to Networx WiFi. Step3: Connect the PPPoE icon, exactly the way you do it with the cable plugged in. *- This is only possible on computers with PPPoE connection installed. Connection can be used ONLY at one place at one time. Failure to do so will result in ban of the account. Bans can be removed online or by calling Networx-BG hotline.